Los Angeles, February 14 – The Cinema Audio Society Award for Outstanding Sound Mixing Motion Picture – Live Action was presented by Oscar® nominated documentarian Rory Kennedy (“Last Days in Vietnam”) and Sound Mixer Mike Minkler, CAS to the sound mixing team of Thomas Varga, Jon Taylor, CAS, Frank A. Montaño, Gustavo Borner, Jason Oliver and John Sanacore, CAS from “Birdman or (The Unexpected Virtue of Ignorance)”. Top honors for Motion Picture – Animation went to “Big Hero 6” and the sound mixing team of Gabriel Guy, CAS , David Fluhr, CAS, Alan Meyerson, CAS and Mary Jo Lang, CAS. Held in the famed Crystal Ballroom of the Los Angeles Millennium Biltmore Hotel and hosted by radio personality Doug McIntyre, the 51st CAS Awards also celebrated the professional contributions of Production Sound Mixer David Macmillan, CAS by honoring him with the CAS Career Achievement Award. A three time Academy Award® winner for “The Right Stuff”, “Speed” and “Apollo 13”, Macmillan was feted by previous CAS Career Achievement Honoree Scott Millan, CAS along with Steve Bowerman, CAS and David Krischner. 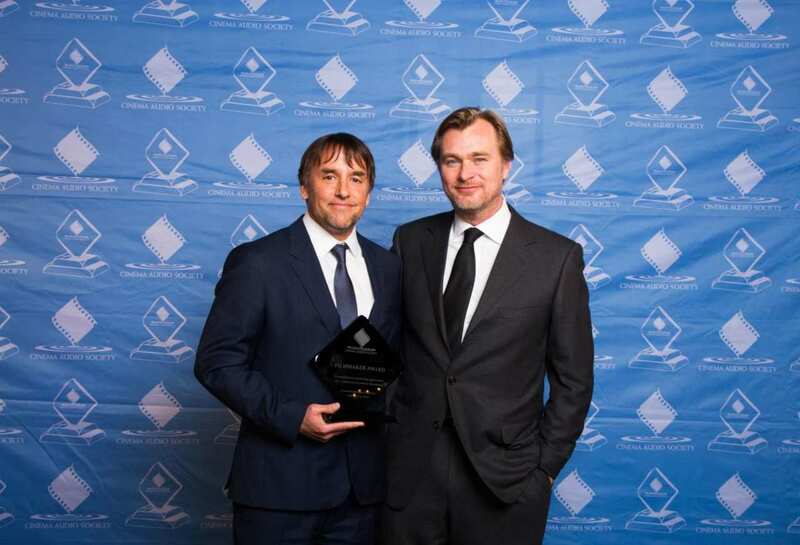 Among other highlights, the Oscar® nominated director of “Boyhood” Richard Linklater, received the CAS Filmmaker Award in a presentation that included remarks by Christopher Nolan, John Pritchett, CAS and Tricia Linklater. Linklater joins an impressive list of previous CAS Filmmakers Honorees including: Quentin Tarantino, Gil Cates, Bill Condon, Paul Mazursky, Henry Selick, Taylor Hackford, Rob Marshall, Jonathan Demme and Edward Zwick. The Sound Mixing team of “Sherlock: His Last Vow” took top honors for Television Movie or Mini-Series. Television-One Hour honors went to “Game of Thrones: The Children”, while “Modern Family: Australia” won the award for Television Series-Half Hour. “Foo Fighters Sonic Highways: Los Angeles” won for Television Non-Fiction, Variety or Music Series or Specials. Celebrity presenters for the evening were: Carolyn Hennesy (Revenge, Jessie, True Blood, Cougar Town, General Hospital), Maddalena Ischiale (Unbroken), singer/songwriter Chantal Kreviazuk (Armageddon, How to Lose a Guy in 10 Days, Providence soundtracks) and Henry G. Sanders (Selma, Bull Durham, Play it to the Bone, Rocky Balboa, Dr, Quinn, Medicine Woman). 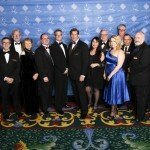 The Cinema Audio Society thanks the 2015 CAS Awards Sponsors: Platinum Level – DreamWorks Animation, NBC Universal Operations Group, Paramount Pictures, Technicolor and Walt Disney Studios Motion Pictures; Gold Level – Dolby and Fox Searchlight and Silver Level – Avid, iZotope, Universal Pictures and Warner Bros. Studio Facilities. Trew Audio was the exclusive host of the CAS Awards After Party.